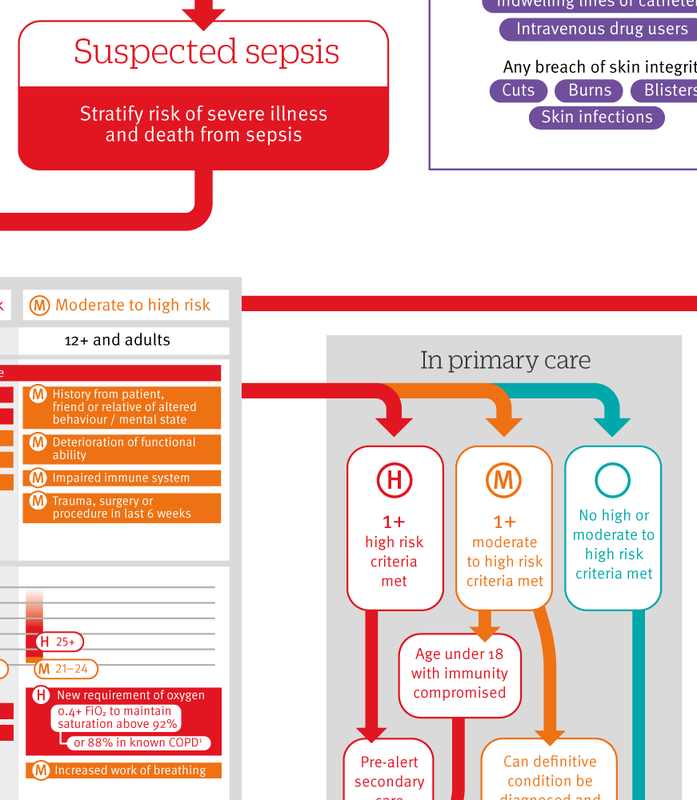 Click here to see an infographic, summarising risk assessment and management of people with suspected sepsis. This guidance provides a pragmatic approach for patients with infection who are assessed in the community, emergency departments, and hospitals by a wide range of general and specialist healthcare professionals. It includes guidance on assessment of risk factors followed by a detailed structured assessment of potential clinical signs and symptoms of concern.